MEC membership runs annually from January. Members have full access to the material published on this site including self-print downloads of back-issues of the Club's bi-monthly magazine Take Off as PDF files. In the temporary absence of new issues of the Club's bi-monthly magazine, postal subscriptions have been suspended and existing members' subscriptions have been extended by an extra year so they need not pay anything. Payments must be in Pounds Sterling. Membership applications can be made online here or by post to the above address. 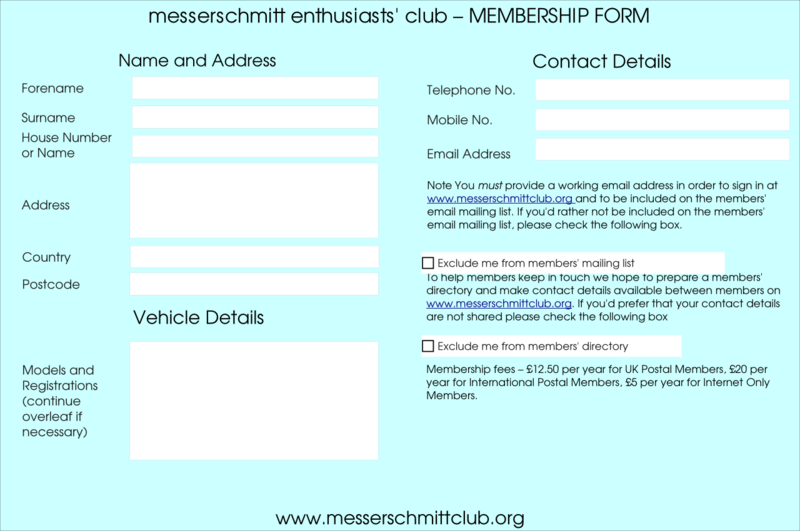 Click the image to download a Membership Form (PDF). Note If you don't already have one you'll need a PDF reader like Adobe Reader (www.adobe.com/downloads/). Alternatively, the form can be downloaded as a PNG image. A full list of the club rules can be found here.